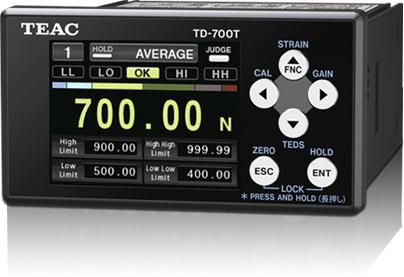 It is a high-speed field network that can handle control and information at the same time by connecting a control device, such as a PLC, and an input/output device, such as an indicator, by serial communication. In addition to high-speed responsiveness and communication time keeping required at the production site, this allows to construct a simple and low-cost system that is superior in terms of wiring saving and maintainability. 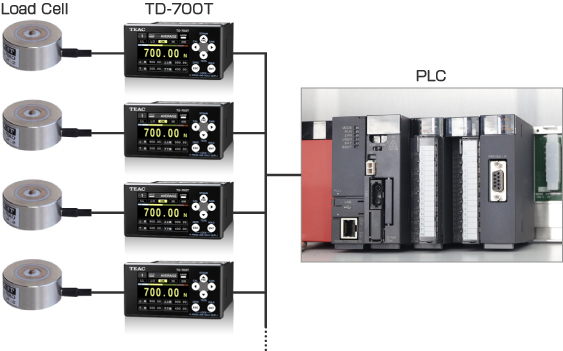 The TD-700T (CCL) realizes the introduction to production sites with low cost and reduced lead time because it can be connected directly to PLC. ※CC-Link compatible is optional at the time of shipment from the factory.